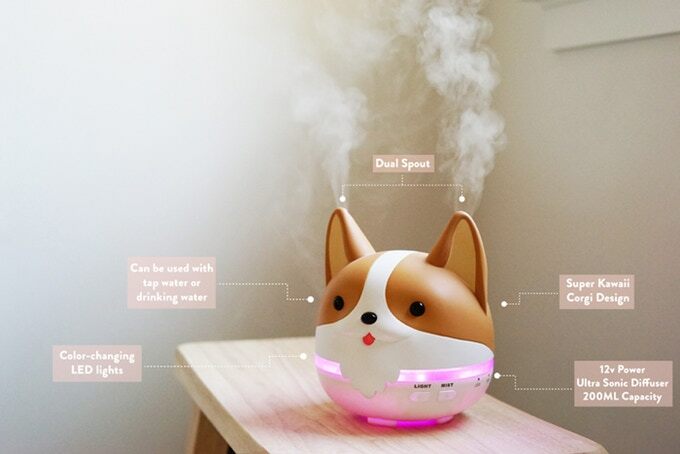 Lately I’ve read in a lot of places that having a diffuser at home or the office is something really healthy for our body; reducing the risk of infections, it improves sleep, it nourishes the plants, it can make your skin smoother… So all are benefits! I am sure you already know all these benefits, but sometimes is good to remember them! 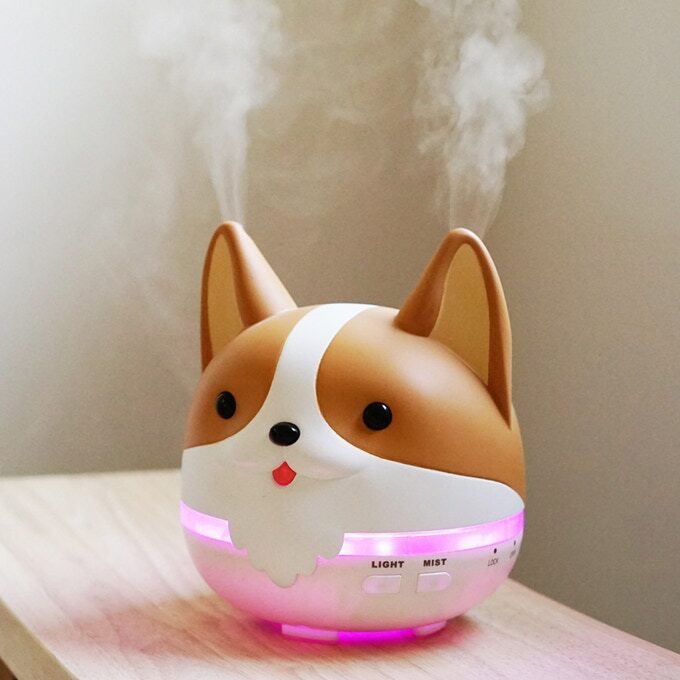 You can find a lot of different designs if you search online, but I am sure none of them are as cute as this little Corgi by Smoko, am I right? Mist Mode: 6 hours running time until water runs out. 60 & 120 minute timer or 30 sec toggle for 6 hours of use. We’ve upgraded the diffusers from a 5v to a 12v motor, so they can diffuse more and cover a larger area. Can now be used with either tap water or filtered water. Improved cap design makes the diffusers easier to open & refill. 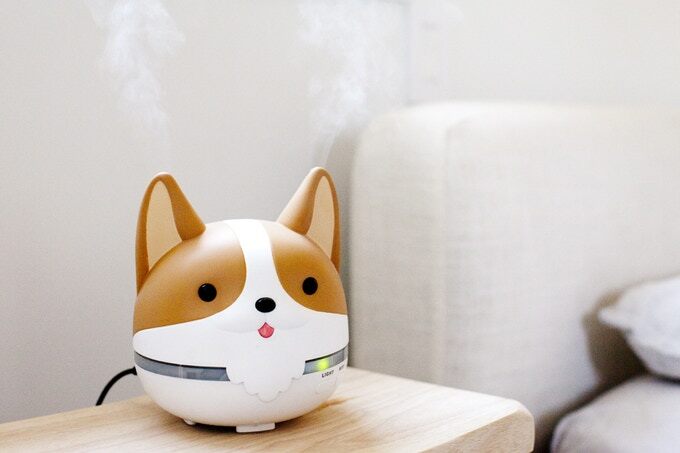 And let me say the truth, after seeing this lovely Corgi, who doesn’t want one at home?